For hunters that appreciate all the advantages of Excalibur’s time tested Recurve Technology but have the need for speed, Excalibur is proud to introduce to you the new BULLDOG 440. 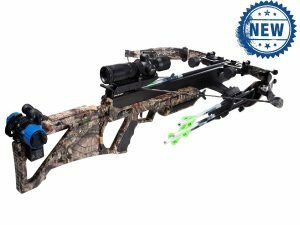 Engineered to be one of the fastest crossbows ever produced, the Bulldog 440 gives you the ability to reach out with laser flat speed and trajectory while delivering bone crushing power. •Adjustable from one to two stage configurations. •Consistent 3lb trigger pull with no creep.